Beer Junction Fresh Hop Fest, Saturday September 29th thru Sunday, October 7th. They intend to pour 20-30 fresh hop beers at a time for nine days in a row. Dedicating up to 30 taps to fresh hop beers at any given time. Whoa! 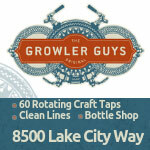 The Growler Guys Fresh-tival, Seattle, ongoing. As of Oct 4th they have 22 fresh hop beers on tap and plan to tap about another 50 over the next couple weeks. 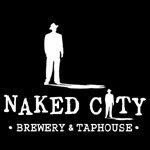 They are offering discounts on flights and growler fills of fresh hop beer. To see the current selection, check out on their website. An Evening with Bale Breaker. Wed. Oct 3, Brouwer’s Cafe welcomes the crew from Bale Breaker Brewing. They’ll bring a few different fresh hop beers with them. Who knows more about fresh hops than a brewery built in a hop field? 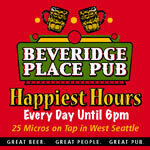 2nd Annual Fresh Hop Festival – Beveridge Place Pub, Seattle – Saturday, October 6th. Noon to 6:00. 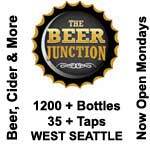 30+ fresh hop beers from the Northwest, outdoor games, and food! Rain or shine. Fresh Hop Fiesta – October 9th at The Pine Box in Seattle. “We will have been tapping Fresh hop beers since early September, this day we’ll be tapping everything we can that’s fresh and delicious. 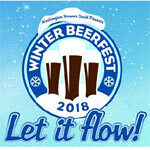 Expect 20 of the freshest fresh hop beers from some of our favorite breweries all on tap this day. Keep an eye one the Facebook event page for details. Skagit Fresh Hop Showcase – October 18th at Farmstrong Brewing. 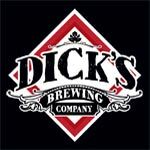 In addition to releasing their own Fresh Hop IPA they want to celebrate fresh hop season by opening up some guest taps for local breweries’ fresh hop beers as well. 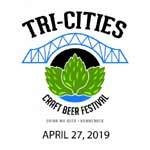 Enjoy beers from Farmstrong Brewing, North Sound Brewing, Anacortes Brewery, Bastion Brewing, Skookum Brewery, Kulshan Brewing and Aslan Brewing. Beers will be available in flights. 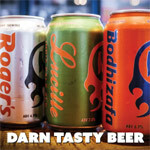 More beers will be announced on the event’s Facebook Page. List will be updated as info becomes available. Note that this is a moving target. While things are still in the tanks, dates are flexible. That is, check with the brewery before you make a special trip across town. Unless otherwise noted, look for these beers at the brewery taprooms. 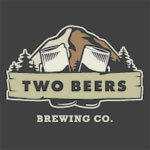 Two Beers Brewing – Already Released their first one. More to come. See our previous post. 20 Corners Brewing – Already Released. More to come. Keep an eye on their Facebook page. 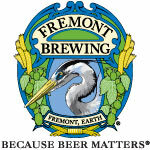 Fremont Brewing – Friday, September 7th. Fremont Brewing released its fall seasonal, Field to Ferment Fresh Hop Pale Ale, on draft and in six-packs on Friday, September 7th. Look for it at the Urban Beer Garden and at local retailers, Fremont is brewing this single fresh hop ale with three hop varieties sequentially as they are harvested throughout the entire hop harvest in Yakima. The first release will feature early harvest Centennial hops followed by Simcoe and finally Citra. Top Rung Brewing – Sat. Sept. 8th. Fresh Centennial hops from CLS Farms in Moxee, WA. Stoup Brewing – Tuesday, Sept. 11th. Centennial hops from CLS Farms. Released at the taproom. 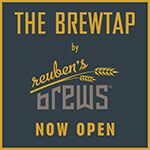 Reuben’s Brews – Tuesday, Sept. 11th. Fresh Hop Amarillo and Fresh Hop Crikey Amarillo Fresh Hop will only be available on tap in the taproom. Amarillo Fresh Hop will only be available on tap in the taproom. Fresh Hop Crikey will be available on tap and in 22-oz bottles in the taproom and in limited distribution around the Pacific Northwest. Diamond Knot – week of Sept 10. Pale ale with fresh Amarillo hops from Gamache Farms. Expected to be out for distribution week of Sept. 10th. Cloudburst Brewing – Sept. 12 thru Oct. 17. Brewing several wet hop beers. Exact release dates subject to change. 9/12 One Eight IPA; 9/19 Waterworld IPA; 9/21 The Splash Zone Pale; 9/26 Another IPA; 9/28 A Big Ol’ IPA; 10/3 An IPA collab w/Cellarmaker; 10/10 Out Last IPA collab w/Pinthouse & Call to Arms. 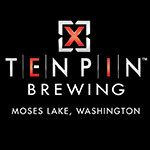 Whipsaw Brewing – Sept. 12th – Fresh hop Centennial on tap at the brewery’s taproom in Ellensburg. Flying Bike Cooperative Brewery – Sept. 13. several pounds per barrel mixed local fresh hops, mostly Cascade, Centennial, and Chinook, plus a touch of some nice whole-leaf and “noble” hops on the side. DRU BRU – Sept. 15th. (and Oct. 15). Dru Bru partners with Cornerstone Ranches (fellow Gonzaga alums) to create two fresh hop ales. The first, brewed with Centennial hops will be released Sept. 15. The second, brewed with Cashmere hops will be released Oct. 15. Stoup Brewing – Sept. 17. Brewed with Simcoe hops from Carpenter Ranches. 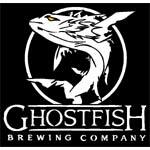 Ghostfish Brewing – Sept. 17. Releasing Centennial Fresh Hop ale. 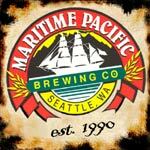 Pike Brewing – Sept. 18 (tentative) – Fresh Hopped Space Needle IPA. Available at the Pike Pub, Tankard and Tun, and also at the Space Needle’s observation deck (cool). Brewed with Cascade and Centennial fresh hops from Chelan Valley Hops, the only commercial hop farm with irrigation rights to the glacial waters of Lake Chelan. Ravenna Brewing – Sept 18 – 4:00 – Columbus Fresh Hop. On that note, we brewed our second over the weekend w/ Urban Family. A dank Fresh Hop Azacca IPA, so 2 weeks on that guy. Stoup Brewing – Sept. 19th. Brewed with fresh Simcoe hops from Carpenter Ranches. Airways Brewing – Friday, September 21st. Airways Brewing of Kent will release its Fresh Hop IPA on Friday, 9/21. 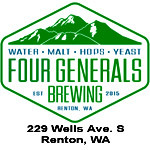 Brewed with freshly picked Amarillo hops from Virgil Gamache Farms in Toppenish, WA. About 110 pounds for a 10-barrel batch. 6.0% ABV. Bainbridge Brewing – Friday, September 21st. 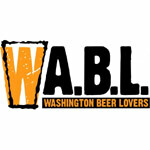 Fresh Hop WA SMASH released at its taproom and it’s Alehouse, both on Bainbridge Island. Kegs to NW Beverages for distribution the week after. Brewed with Amarillo hops and Skagit NZ-151 malt. Single Malt, Single Hop, Single State. 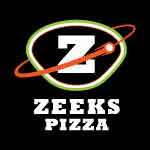 Reuben’s Brews – Friday, Sept. 21. Fresh Hop Brut IPA: We’ve been wanting to brew a Brut IPA for some time, and at last we found a spare tank to brew one into! And what better way to start than with a fresh hop version! Postdoc Brewing – Sept. 21. Citraverse IPA is a 100% Citra Fresh Hop brewed with a touch of wheat resulting in hazy juicy goodness with loads of fresh tangerine and musky mango character. 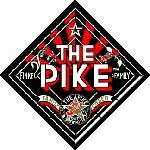 Pike Brewing – September 21st (tentative). Wolf in the Woods. Brewed with fresh Citra hops from Perrault Farms. Available at the Pike Pub and at Tankard and Tun. Also, at select accounts around Seattle and across the state. Resonate Brewing – September 21. Resonate released its annual Fresh Hop IPA “Petal on Metal,” which features fresh Amarillo hops. PostDoc Brewing – Week of September 21 thru 28. Citraverse IPA is a 100% Citra Fresh Hop brewed with a touch of wheat resulting in hazy juicy goodness with loads of fresh tangerine and musky mango character. Hops are from Perrault Farms in Yakima. 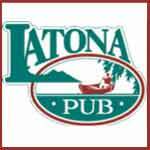 Stoup Brewing – Sept. 24th (week of). Brewed with Citra hops from Perrault Fams and Loral hops from Loftus Ranches. Hellbent Brewing, September 25th (Meridian Fresh Hop IPA). 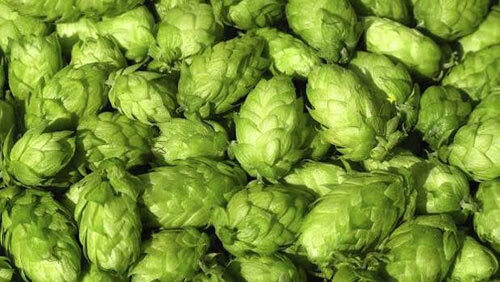 “We would like to thank Coleman Agriculture for the beautiful selection of fresh Meridian hops. Coleman Agriculture is a 6th generation family owned and operated farm with headquarters just south of the small Western Oregon community of St. Paul.” Release event planned. Stoup Brewing, September 27 (est.) – Mosaic fresh hop. Hellbent Brewing Sept 29th – Three fresh hop beers: Amarillo Fresh Hop IPA, Meridian Fresh Hop IPA, and a fresh hop version of DANG IPA. Release event planned, see above. Counterbalance Brewing, Sept 29th – A party at the brewery celebrates the release of this year’s fresh hop ale, brewed with Amarillo hops from the Willamette Valley, and also the release of Bad Wolf Dark Ale. Redhook Brewlab, September 29 – Redhook will release two fresh hop beers at Redhook Brewlab in Seattle’s Capitol Hill neighborhood. One uses Azacca hops from Roy Farms, the other uses Citra hops from Perrault Farms (a collaboration beer brewed with 20 Corners Brewing). Schooner Brewing is throwing a special fresh hop release party in honor of their newest fresh hop beer on Thursday, October 4 from 3-6 p.m.! Schooner Fresh Hop is Made with El Dorado Hops from CLS Farms in the Yakima Valley. 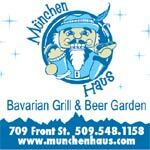 During the release party guests will enjoy half-off all appetizers as well as $3 pints of Schooner Fresh Hop beer. Belltown Brewing’s fresh hop IPA will be on tap on Friday, October 5. Guests are invited to gather at the brewhouse to toast to this seasonal beer. Carpenter Ranches Fresh Hop IPA is an ode to the hardworking hop growers at Carpenter Ranches, who have been an integral part of the Yakima Valley hop industry since 1868. This fresh hop IPA is made with fresh Mosaic hops, has 6.0% ABV and is deliciously drinkable! Sound to Summit Brewing in Snohomish will be releasing our fresh hop beer next Monday, 10/8, in the tasting room, and it will also be featured at the Independent fresh hop invitational event on Oct 11 in Everett. 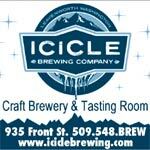 Stats as follows: Bine to Brew Fresh Hop IPA, 6.9% ABV, 70 IBU. Features fresh Equinot hops throughout the beer. 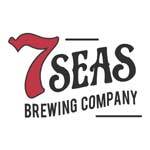 On tap at Sound to Summit Brewing and at select accounts in Snohomish County. Aye, you’re a good lad! Thank you! !